We all want to have bright white, straight, healthy smiles, but only a very few of us are born with these beautiful smiles naturally. If you’ve always wanted cosmetic dentistry services to create the flawless smile of your dreams but these treatments just don’t fit your budget, a flexible spending account may be the way to go. Many employers offer these plans, and using up your flexible spending funds to get the smile of your dreams may be the best course of action. Flexible spending accounts (FSA) are offered by some employers to help their employees offset the costs associated with medical care. In most cases, you’ll preset a specific amount of money to be withdrawn each month. Employers typically match this amount or offer an agreed upon match percentage. These account funds need to be used up within one plan year, so it’s important to plan and use these funds before the end of the year. How Can You Use FSA Benefits at the Dentist? FSA funds can be used on any medical, dental, vision, or prescription needs. If you have an excess FSA money left over for the 2017 plan year, you may want to consider using your funds toward advanced restorative or cosmetic dentistry services. If you’ve been wanting a brighter, straighter, more beautiful smile, FSA funds are just what you need to make that dream a reality. 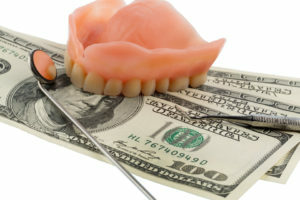 Dental insurance benefits do not always cover the treatments patients really need to have the smiles they deserve. A good dentist will help you maximize your dental insurance benefits in order to keep your smile whole and healthy for a lifetime. The easiest way to ensure you get the most out of dental insurance coverage is to visit a dentist twice a year for checkups. During these appointments, your dentist will help you keep you smile whole and healthy and avoid the need for more advanced treatments. At the Zionsville dentistry practice of Angelo M. Julovich, DDS, we have years of training and experience working with patients to maximize their dental insurance, utilize FSA funds, and keep their smiles whole and healthy. If you’re one of the thousands of US adults who have left over FSA funds this plan year, call Trinity Dental to schedule a consultation appointment. We’ll talk to you about goals you have for your smile’s appearance and oral health. Then, we’ll partner with you to create a treatment plant to use your excess FSA money and achieve a flawless smile you’ll feel proud to share.